For several years Kale was the most popular vegetable. Everyone was on the kale kick, kale t-shirts, kale chips, kale salads, kale smoothies… you name it and there was a kale version of it! Kale is everywhere, but it is slowly being pushed aside by cauliflower! Cauliflower is now the new it vegetable. 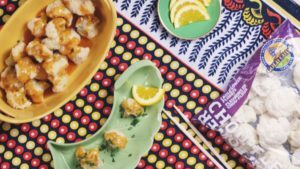 Cauliflower is a culinary chameleon, it can easily be added to any dish and it absorbs its flavors. Cauliflower is considered one of the healthiest foods as it is loaded with essential vitamins and antioxidants. Several studies have shown that cauliflower is useful for preventing several types of cancers, including breast and colon. So yes, it’s a great, healthy and super tasty idea to substitute your protein or carbs with Cauliflower! 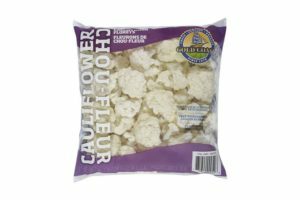 We offer cauliflower in several forms here at Gold Coast Packing, including florets and “riced” Caulifornia™ snow. Our florets are available in a two-pound bag, washed and ready to use. There is so much you can do with those beautiful florets, roasting and pickling is the latest cauliflower craze. Roasting cauliflower is the easiest and most flavorful ways to cook up some cauli, pickling takes a bit longer, but once those florets are pickled you will have found your new favorite pickled veggie! Cauliflower is trending as a meat replacement, and as the center of the plate superstar… that means no meat for lunch or dinner, everyone is serving up cauliflower! Some of the most popular recipes are Cauliflower “mac” and cheese, Cauliflower tacos, Roasted Cauliflower soup, and Buffalo Cauliflower. These are all great meals featuring our favorite veggie, but the recipe that has us saying more please is Baked Orange Cauliflower. Yes, that’s right, the meatless version of your favorite take-out! This recipe comes together quite easily and with ingredients that are pantry staples. The cauliflower is baked not fried then glazed with the perfect orange sauce with a slight spicy kick. 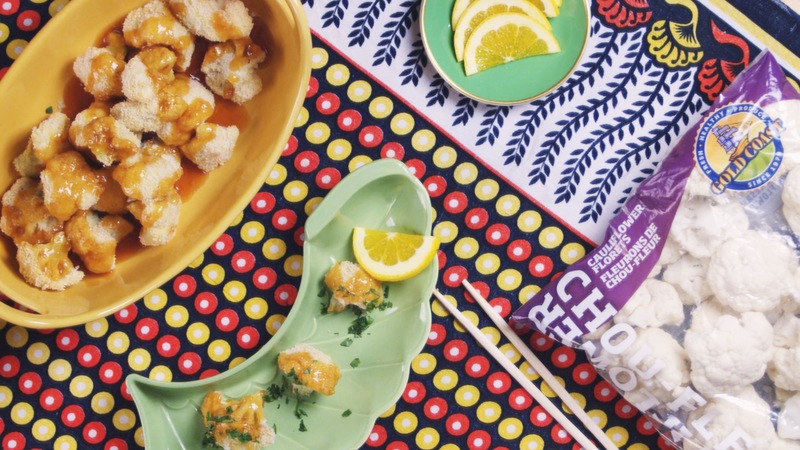 Serve it with some steamed rice and you have the perfect fall dinner. To simply your cooking process even more you can check out the video below and the easy to follow printable recipe is also linked below. 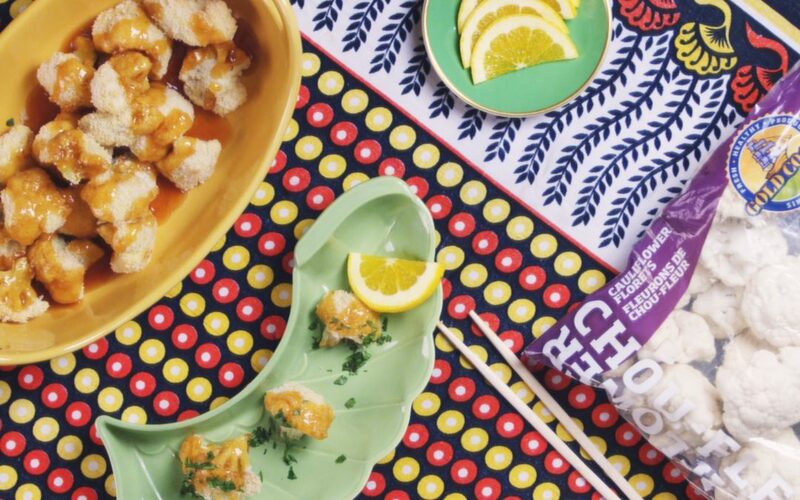 Thank you for following along for this trendy, fall, cauliflower dish. Hopefully you enjoyed this instead of all the pumpkin flavored everything being shared right now! Should we say, Orange you glad this isn’t a pumpkin spice recipe?! ?